In 2006, Chile teemed with protesters after finance minister Andres Velasco invested budget surpluses from the nation's historic copper boom in two Sovereign Wealth Funds. A year later, when prices plummeted and unemployment soared, Chile's government was able to stimulate recovery by drawing on the funds. 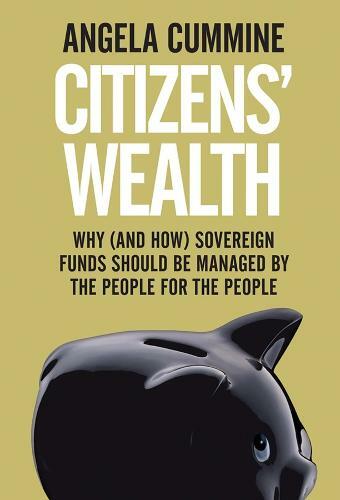 State-owned investment vehicles that hold public funds in a wide range of assets, Sovereign Wealth Funds enable governments to access an unprecedented degree of wealth. Consequently, more countries are seeking to establish them. Looking at Chile, China, Australia, Singapore, and numerous other examples, including a comparative analysis of Britain and Norway's use of oil revenues, Angela Cummine tackles the key ethical questions surrounding their use, including: To whom does the wealth belong? How should the funds be managed, invested, and distributed? With sovereign funds-and media attention-continuing to grow, this is an invaluable look at a hotly debated economic issue.